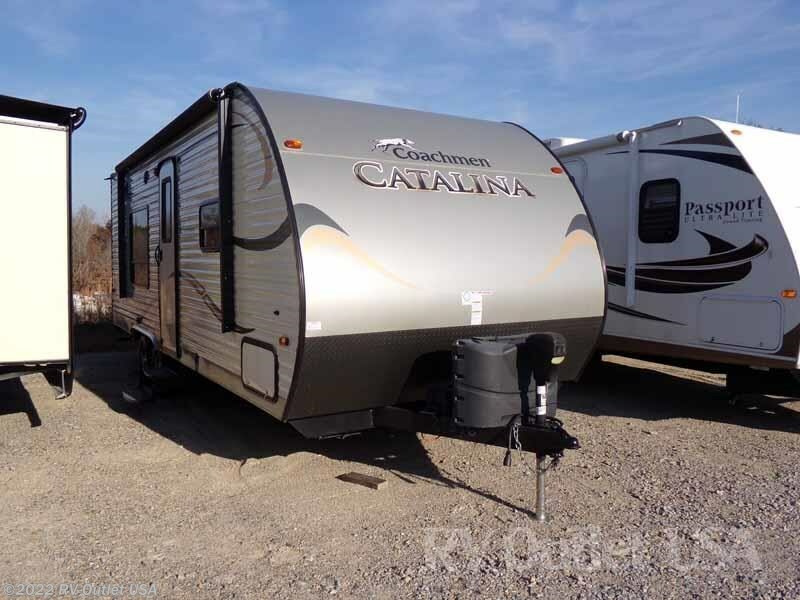 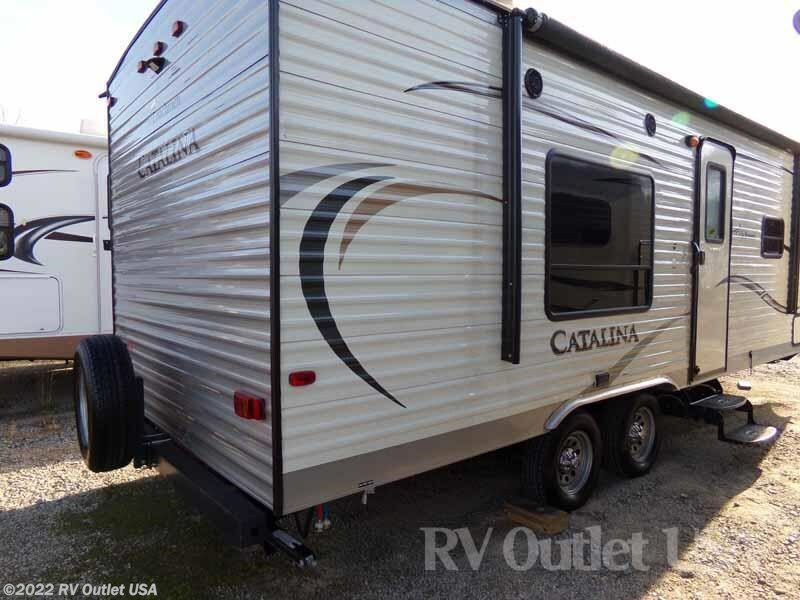 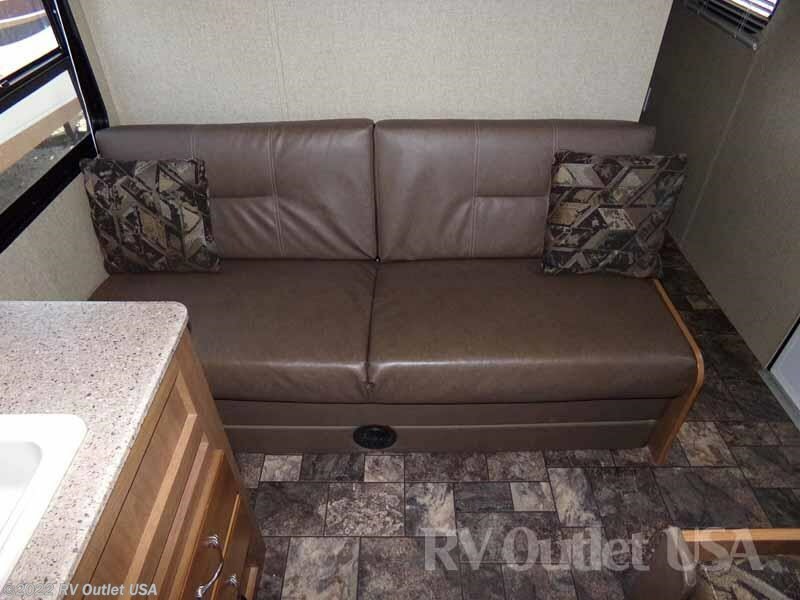 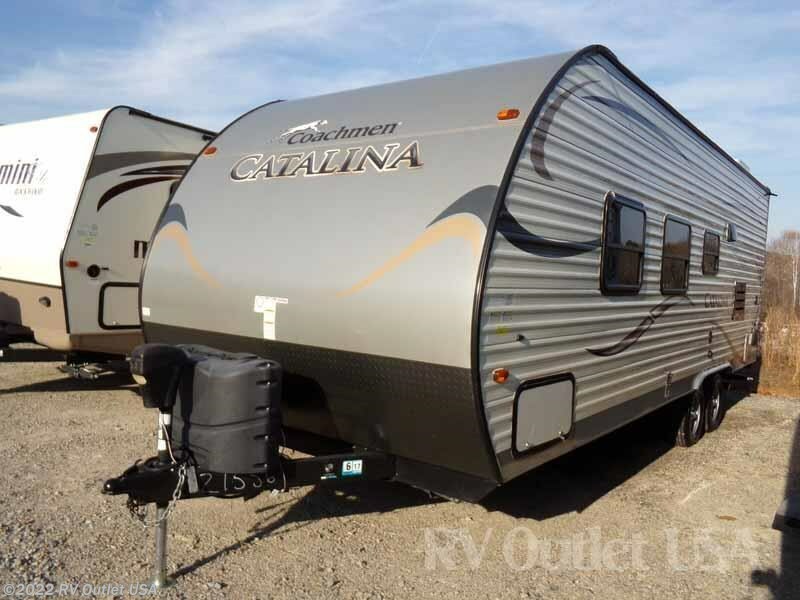 We recently took this 2015 Coachmen Catalina 223FB travel trailer in on trade. 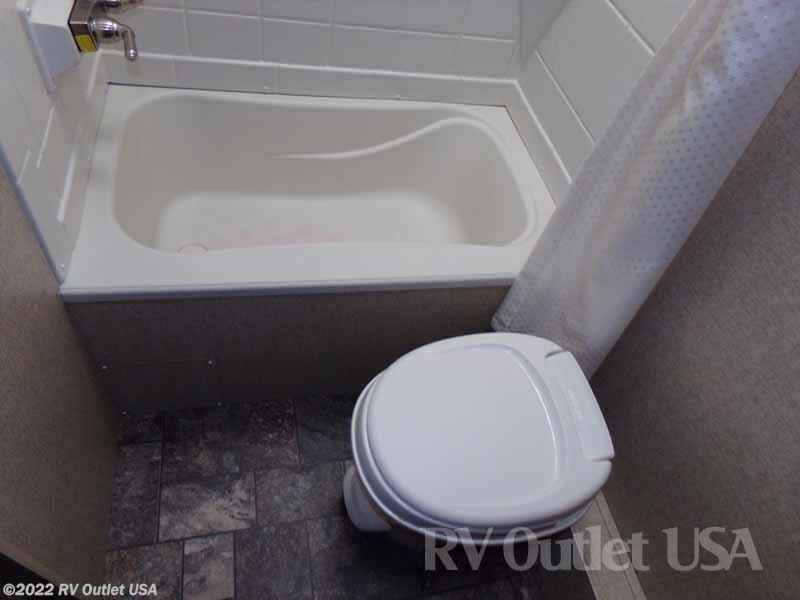 This floor plan is your full rear bath layout, which is really neat. 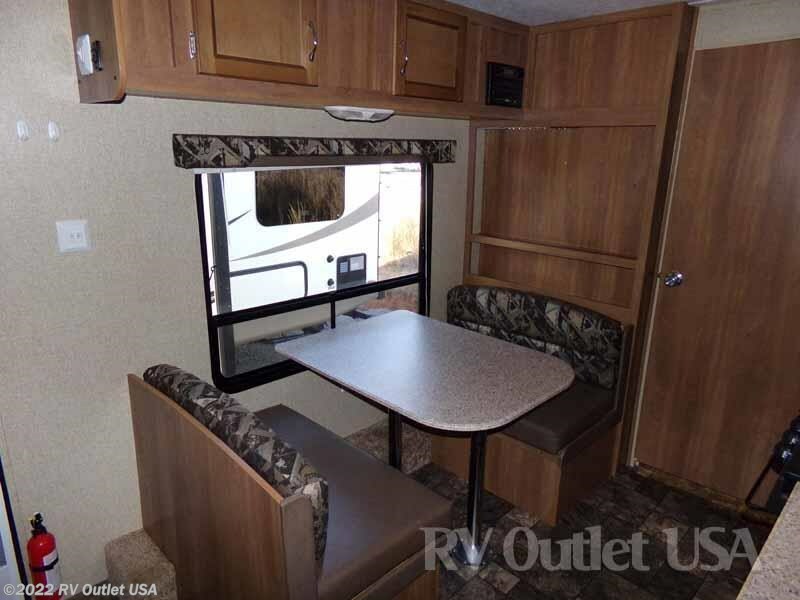 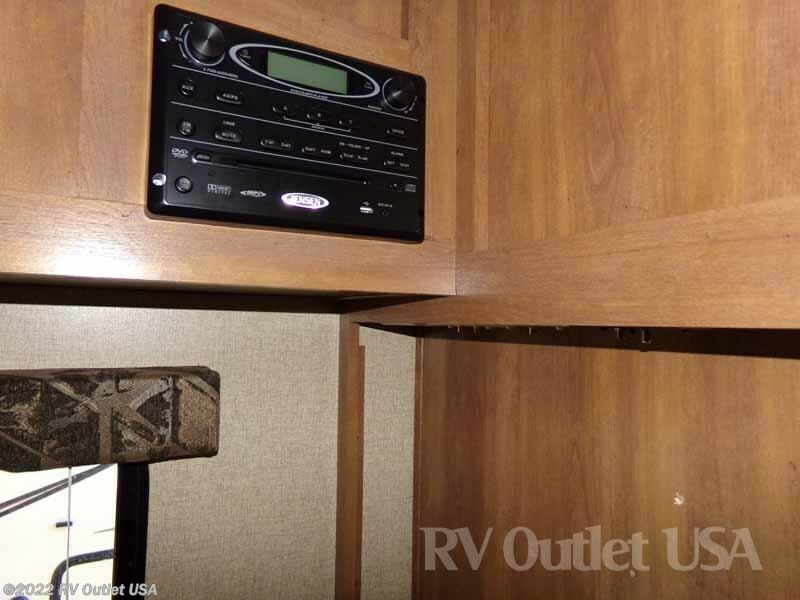 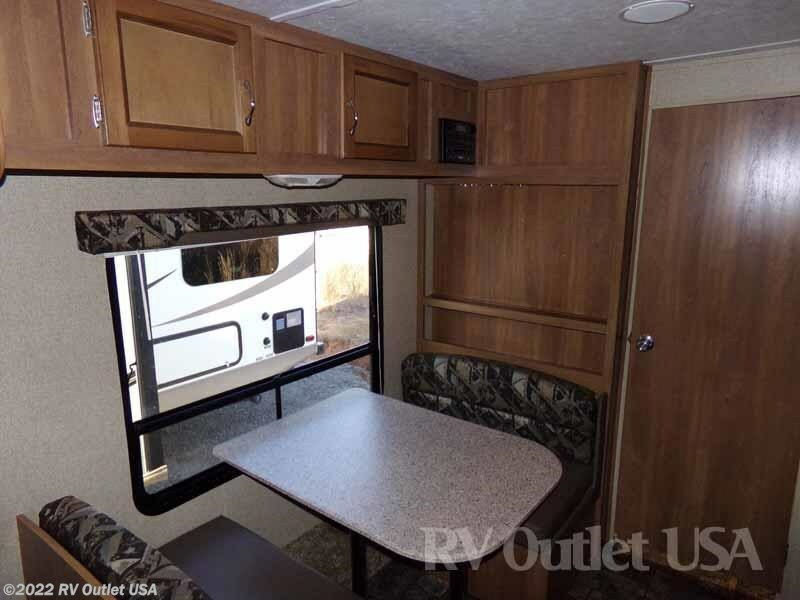 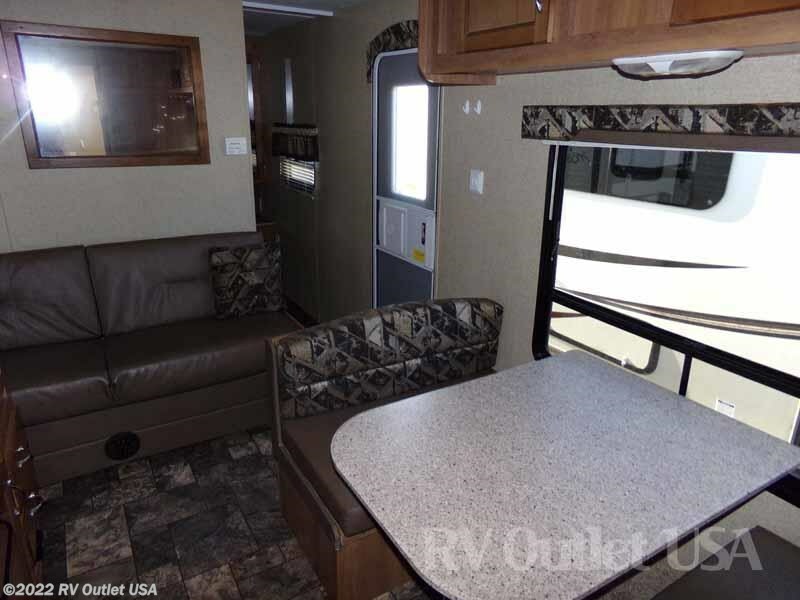 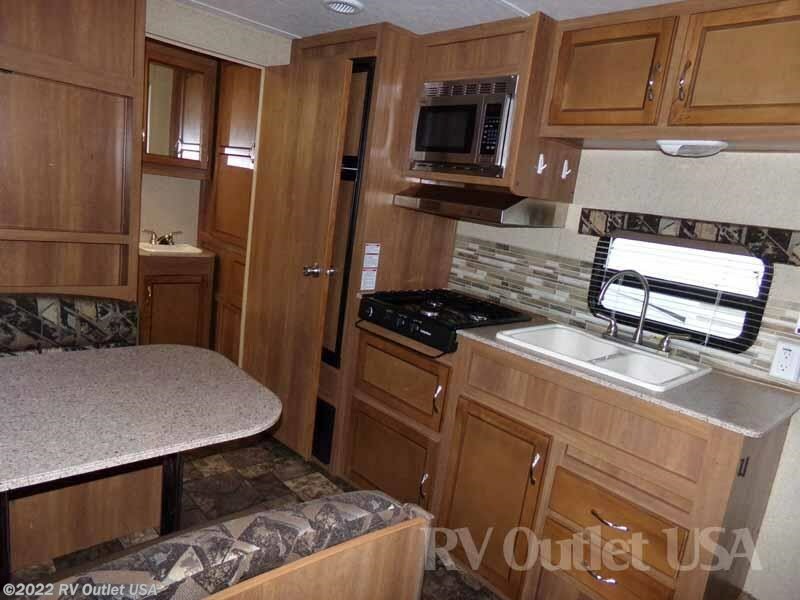 It has plenty of room and storage to accommodate you and your families getaways. 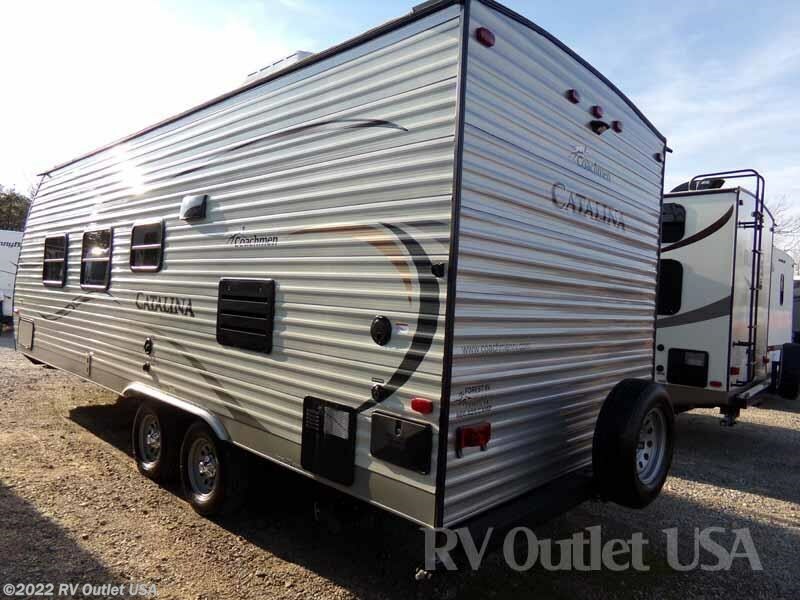 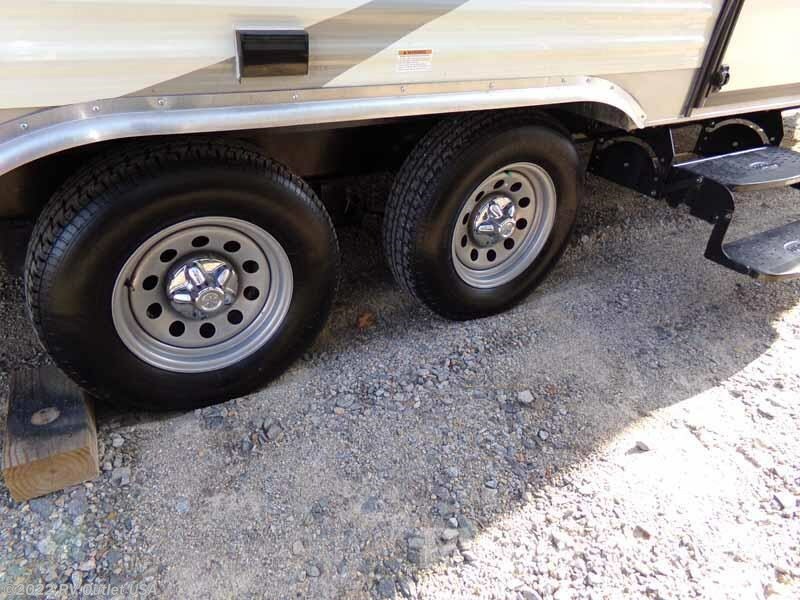 If you're in the market for a nice lite travel trailer that has a full rear bathroom then you should check this 1/2 ton towable out! 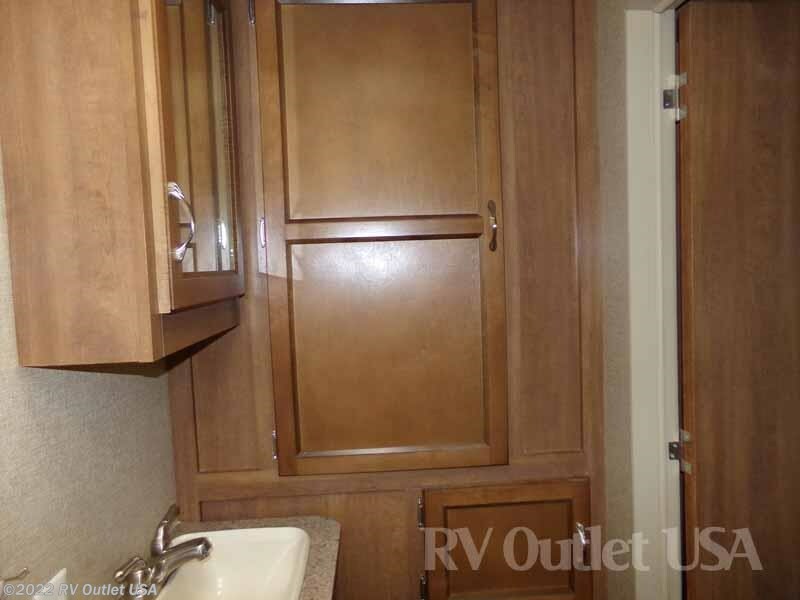 In the front of this unit you will find the master bedroom with a queen size walk around bed. 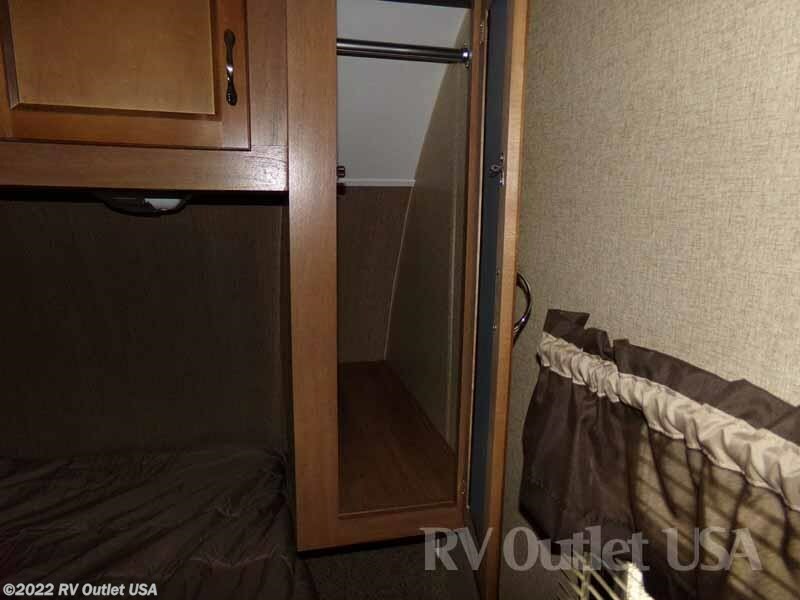 There are wardrobe closets on both sides of the head of the bed, along with overhead cabinetry. 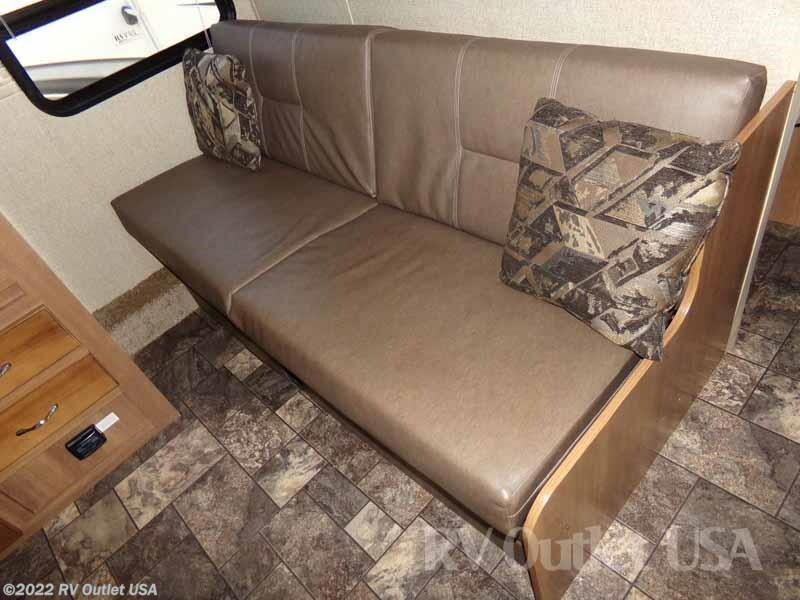 Moving toward the living area there is a sofa which turns into a bed along the bedroom wall. 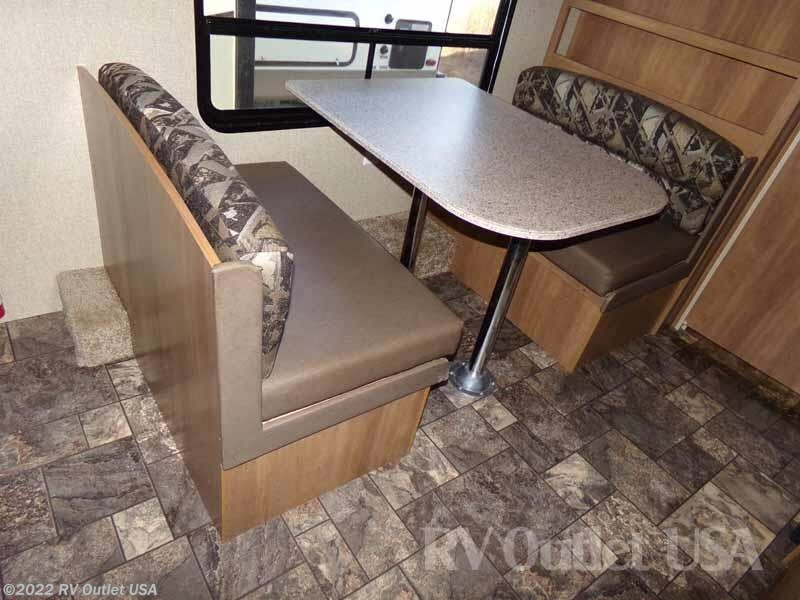 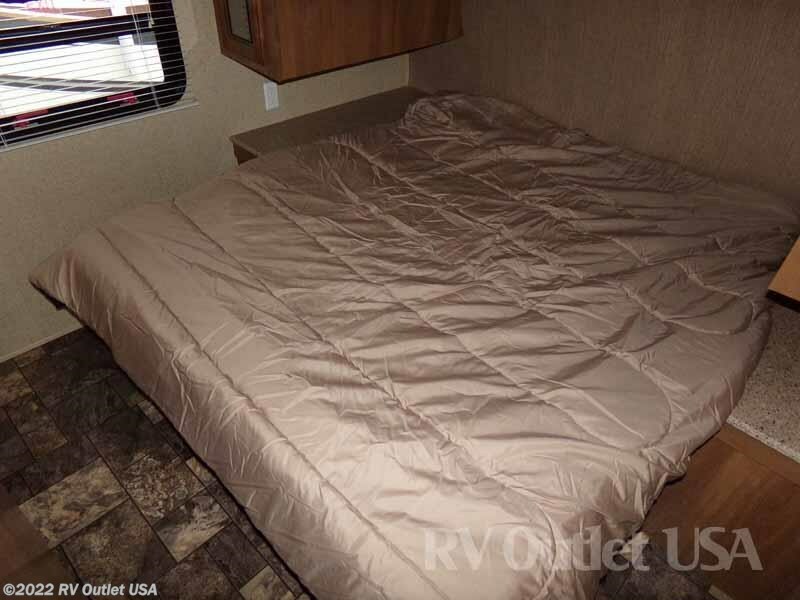 On the door side there is a booth dinette which also turns into bed making this unit available to sleep up to (6) people. 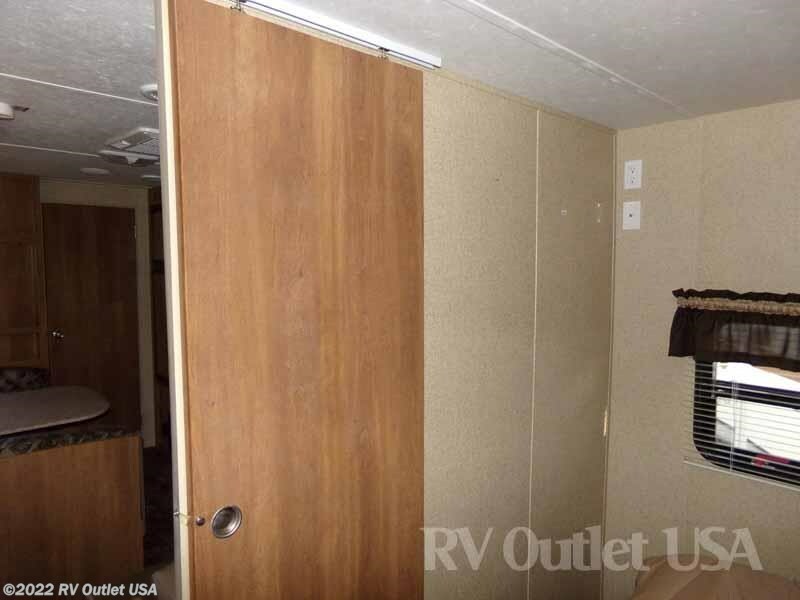 The off door side is where your kitchen is located. 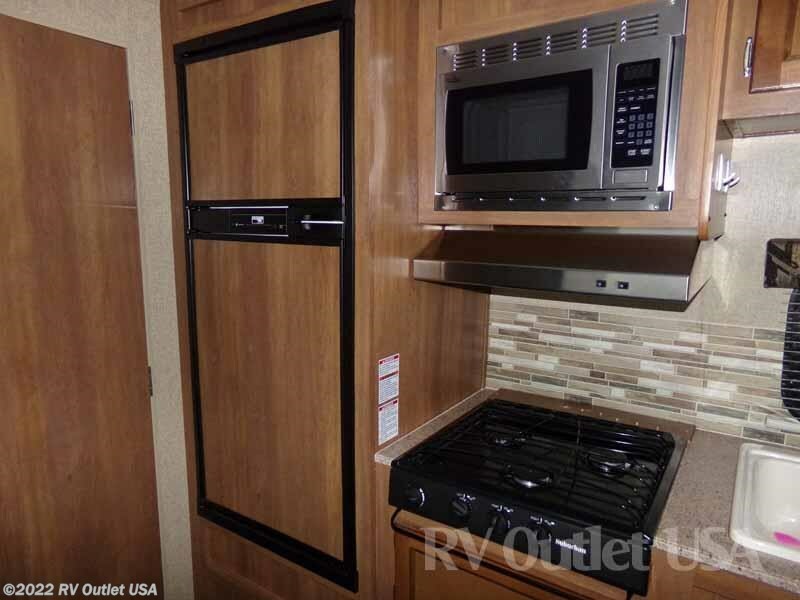 The kitchen in this unit has a nice double stove top with (3) burners and a refrigerator. 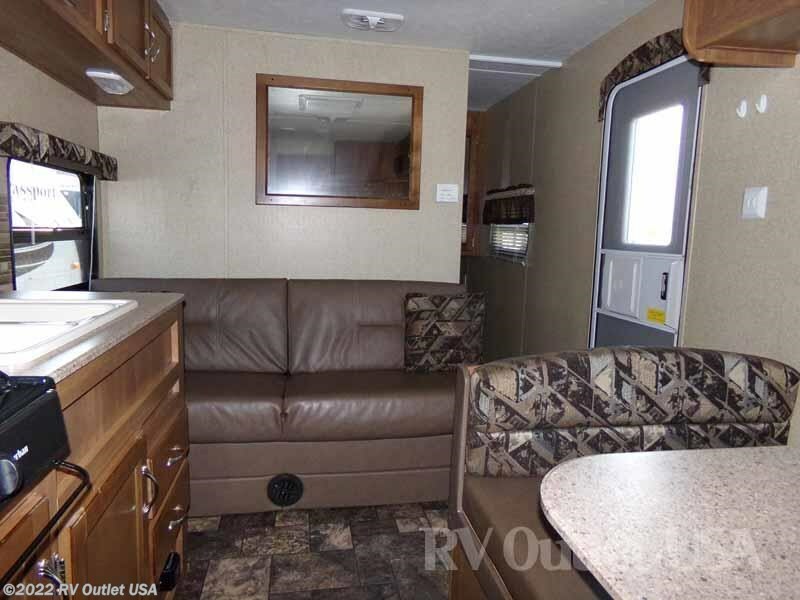 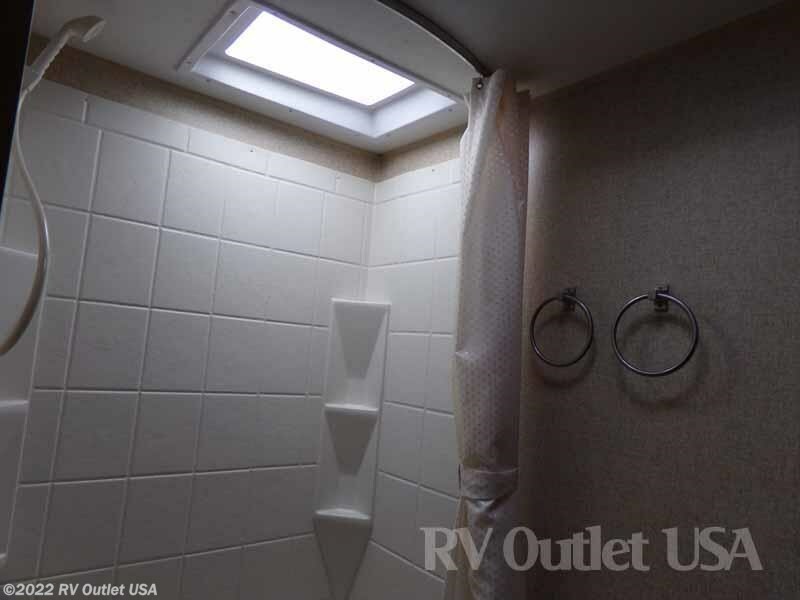 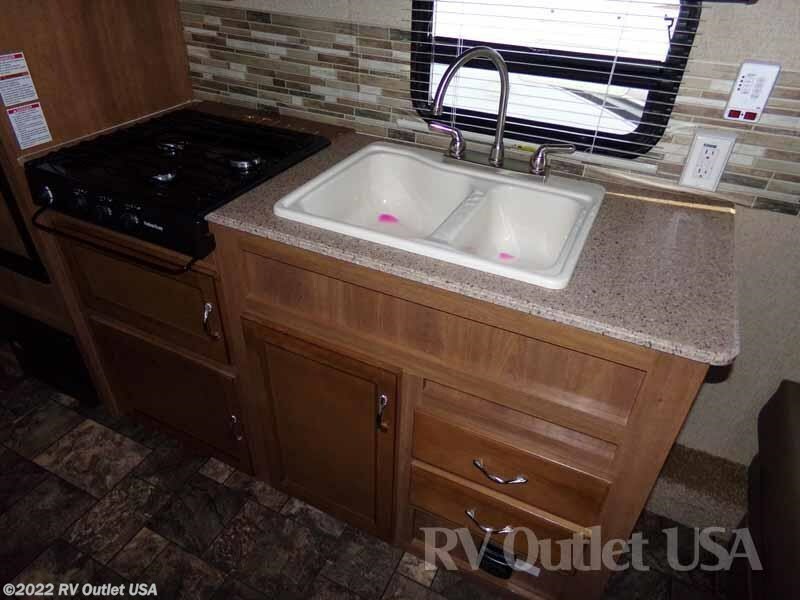 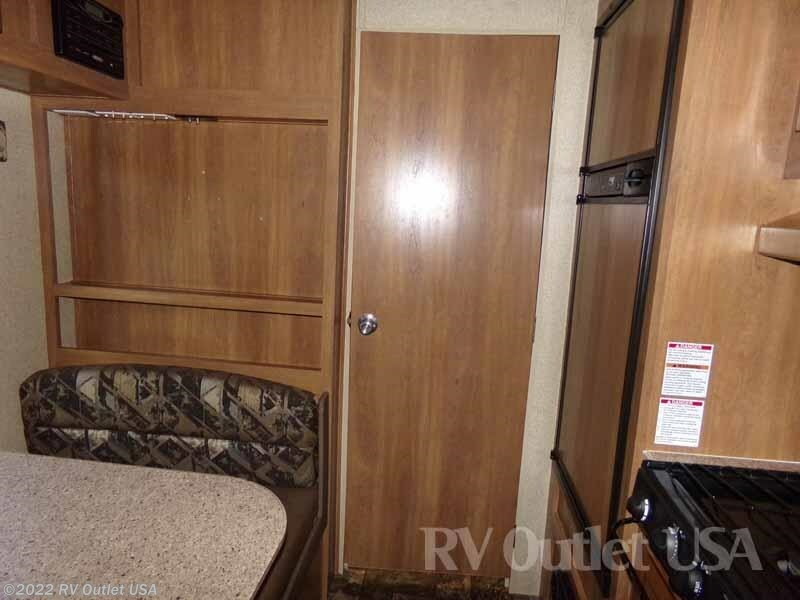 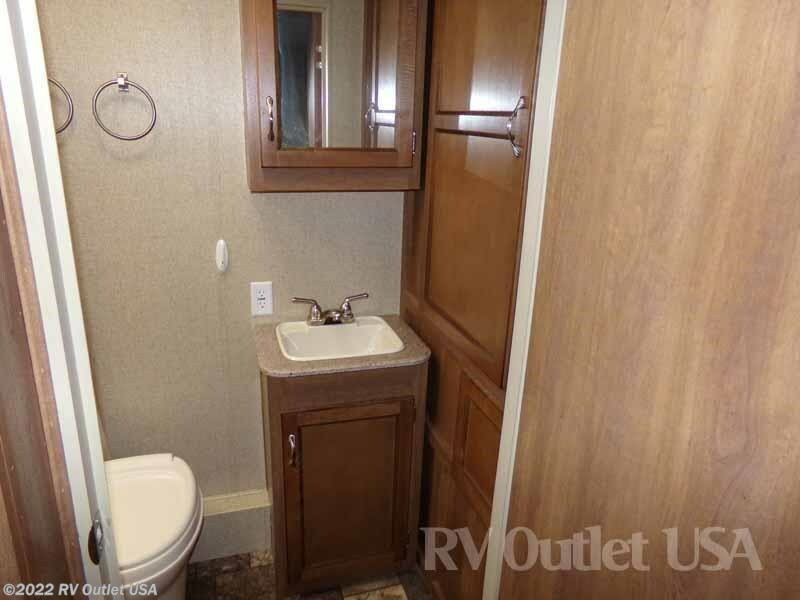 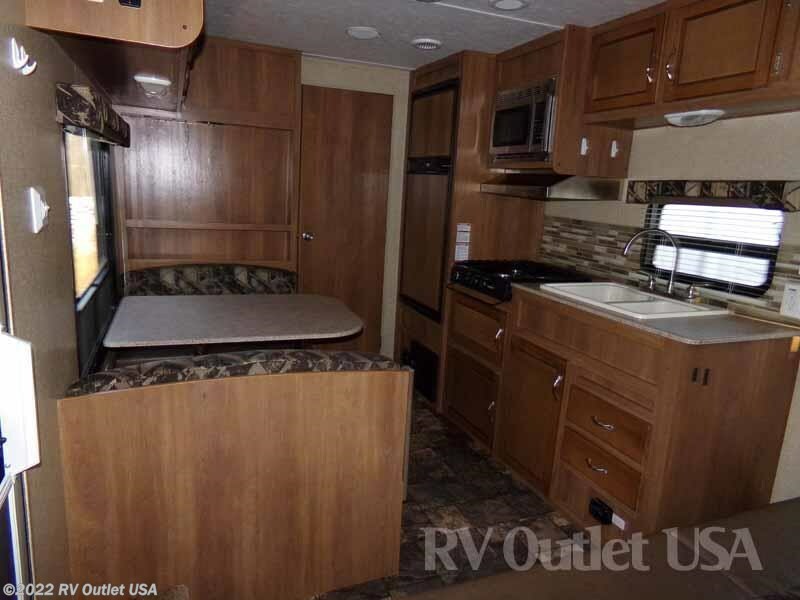 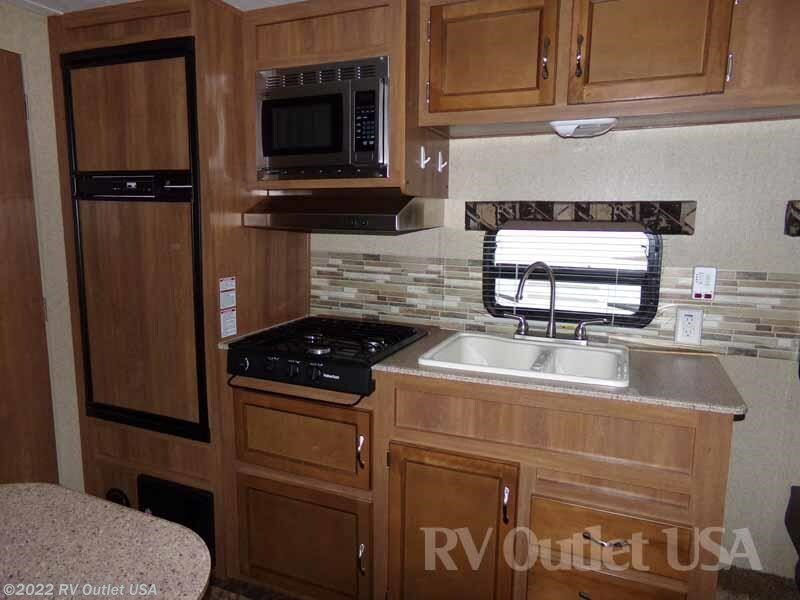 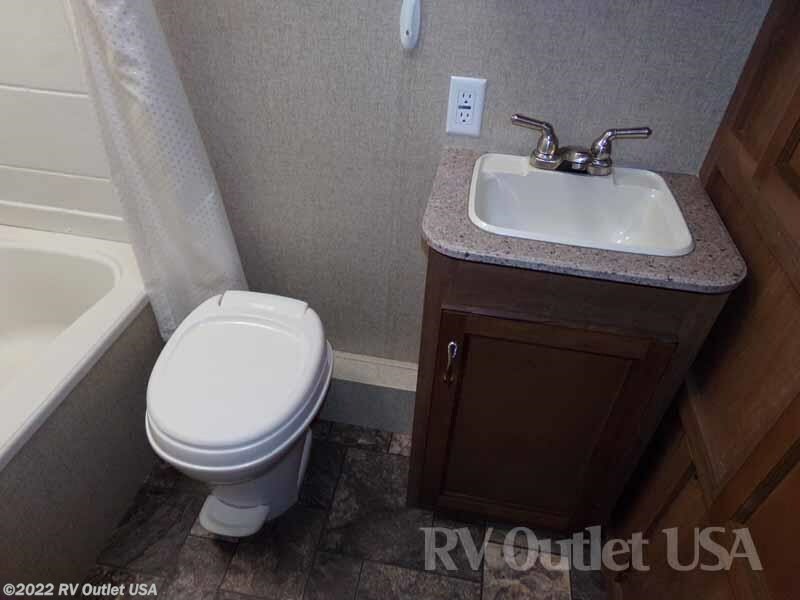 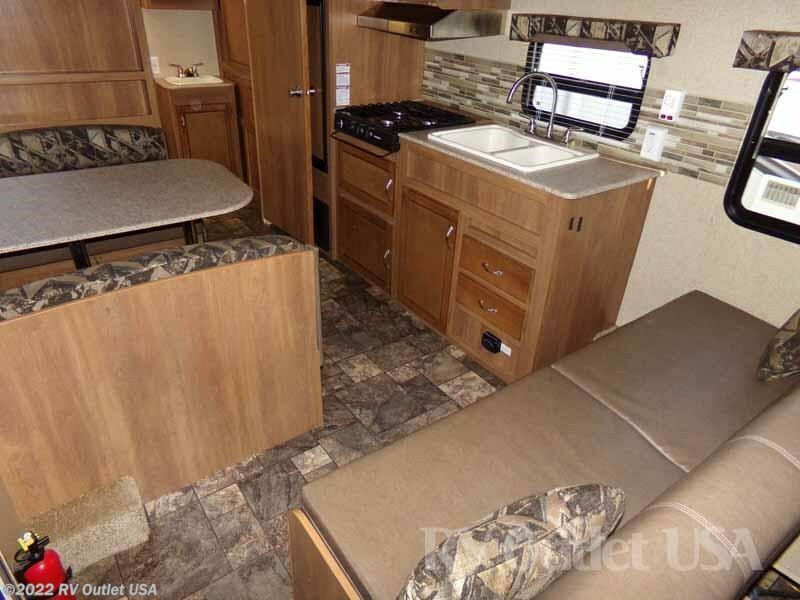 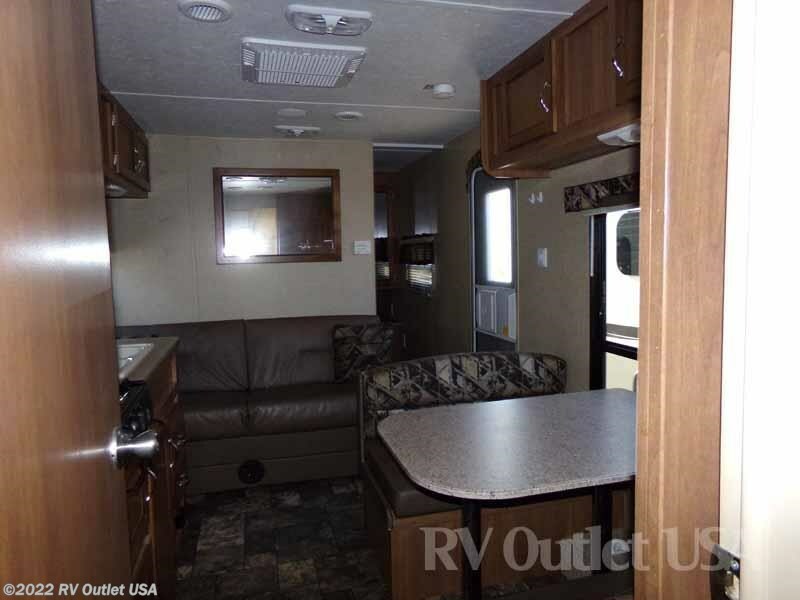 And as mentioned earlier in the rear of this coach is where the full bath bathroom with your sink, toilet, shower/bath tub, mirrored medicine cabinet and a pantry closet for even more storage is! 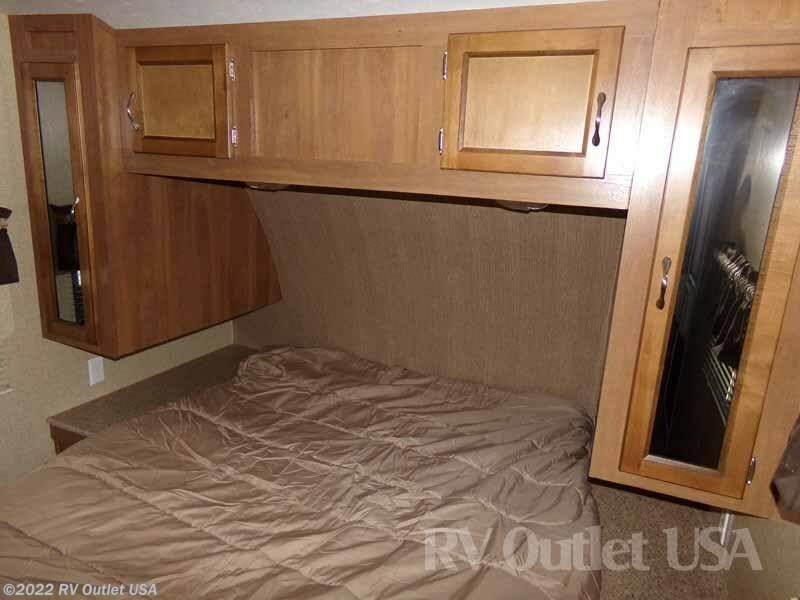 This is a really nice travel trailer!